As an entrepreneur or working professional you may need to learn a new skill or computer program on the fly, or perhaps you may want to train your team. The Lynda.com video database is a great place to start your educational journey. 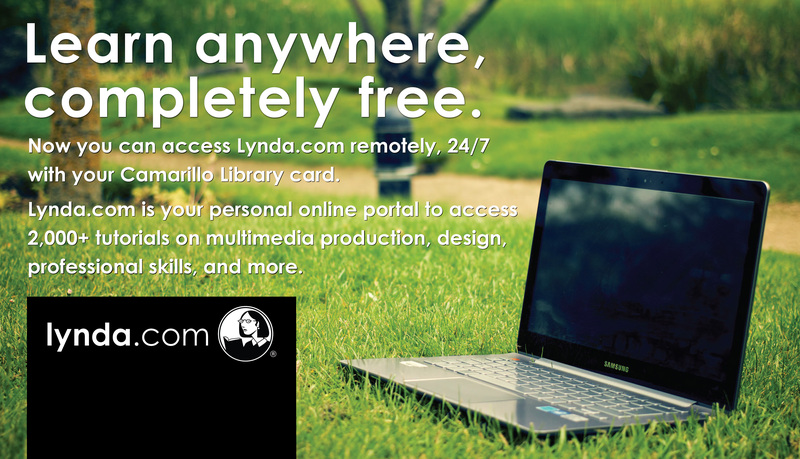 The RFBC provides access to Lynda if you have a Camarillo Library card. To access Lynda.com, click here. If this is your first time on Lynda.com, you will be prompted to create an account. After creating an account you can browse through the almost limitless amount of video lessons. Lynda separates their courses into chapters. If you are proficient with certain aspects of a program, you can skip ahead easily to the information that you want to learn for your specific project. Lynda videos can be filtered for various content, such as beginner, intermediate, and advanced courses, so you are never on a different level than the presenter. Many courses have downloadable worksheets that you can print out and use while you watch the video. After completing certain courses, you will earn a certificate of completion that you can link to your Linkedin profile. This allows you to demonstrate your proficiencies to potential employers or prospects.